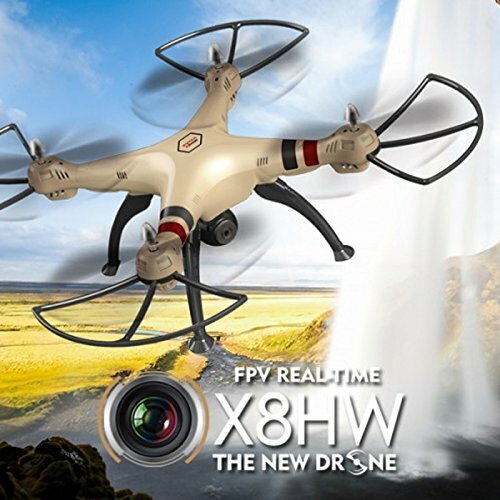 FPV Real-Time Transmission: RC drone equipped with 720p HD camera to take photos and videos while flying. Bring a new perspective to your photos and videos from the air. Images and videos will be listed in both App and mobile album system. One key taking off and landing: The quadcopter is equipped with one key taking off and landing, which makes the drone easier to fly and better to control for any level of player. Headless Mode: Unnecessary to adjust the quadcopter direction, can easily hold in a fixed altitude as well when flying.Also, Great drone for beginners as it reduces the steepness of learning curve.